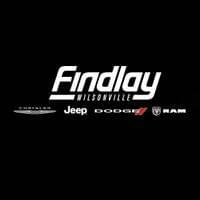 Keep the whole family safe on the streets of Wilsonville with this Chrysler minivan from Findlay CJDR. 360-degree Surround View Camera – Get a bird’s eye view of what’s around the Chrysler Pacifica with this four-camera system. Full-Speed Forward Collision Warning Plus (FCW+) – This system is able to warn the driver to apply the brakes when a potential collision is about to occur and engages the Automated Emergency Braking (AEB) system when the drive doesn’t react in time. Blind Spot Monitoring System + Rear Cross Path Detection – These systems warn you if there’s a vehicle in your blind spot or approaching from behind you as you’re backing up. Lanesense® Lane Departure Warning with Lane Keep Assist – These integrated features work together to warn you if you’re about to leave the lane and make gentle corrections automatically if you don’t do so in time. ParkSense® rear Park Assist with Stop+Parallel and Perpendicular Park Assist – This full lineup of parking assist features makes it easy to parallel park, perpendicular park, and back into a parking spot. NHTSA – In government crash safety tests from the NHTSA, the 2018 Pacifica earned a top overall safety score of five stars, including five stars for front and side crash safety. IIHS – The 2018 model hasn’t yet been rated, but the 2017 Pacifica earned a Top Safety Pick+ from the IIHS. The new Chrysler Pacifica is now on sale at Findlay CJDR, your certified Chrysler dealership at 25600 SW Parkway Center Drive in Wilsonville, OR. Set up a test drive of the new Chrysler Pacifica online, and work with our finance team to figure out the right loan or lease. You can also call us with questions about the Pacifica at (503) 498-6637. While you’re here, be sure to check out our Chrysler Pacifica vs. Honda Odyssey and Chrysler Pacifica vs. Toyota Sienna comparisons. 0 comment(s) so far on What Safety Features Are Offered With the Chrysler Pacifica?